Gospel musician Sabastian Magacha and his wife of six years Nomsah Ndikunwe have officially parted ways after High Court judge Loice Matanda-Moyo granted a decree of divorce yesterday. The split comes after Nomsah last month filed an application for divorce, claiming to have lost love and affection for the artiste. Magacha did not oppose the application for divorce, resulting in the parties signing a consent paper. “Whereas, Nomsah Tatenda Magacha (nee Ndikunwe) and Sabastian Magacha were married to each other in terms of the Marriage Act (Chapter 5:11) on the 25th of May 2012 at Harare and the marriage still subsists, and whereas, the plaintiff (Nomsah) has instituted proceedings against the defendant in the High Court of Zimbabwe claiming a decree of divorce, and whereas the defendant (Magacha) has no intention of opposing the plaintiff’s claim for a decree of divorce, now therefore, the terms of the agreement are recorded as follows: a decree of divorce on the grounds of irretrievable breakdown of the marriage is hereby agreed to be granted by this honourable court,” part of the consent paper reads. According to the consent paper, no valuable property was acquired by the parties during the subsistence of their marriage and no property sharing issues arose in the case. 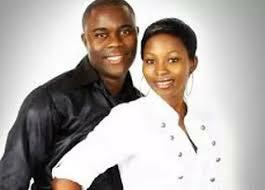 The couple separated for a year before Nomsah filed for divorce. According to her court declaration forming the basis of the divorce, Nomsah said she had lost love for the musician and divorce was inevitable. “In particular, the parties have not been living together as husband and wife for one year now and consequently, have lost love and affection for each other,” read Nomsah’s declaration. The two who got married six years ago, had no children. The union was solemnised at a glittering ceremony at Bliss Gardens in Harare.